We have mailing lists for our Monthly Newsletter, North American Conferences, and European Conferences. They are low traffic, and only send occasional community and event updates. You can sign up on our Newsletter & Mailing lists page. You can join us on the Slack for real-time discussion and to keep in touch with folks from the community. Slack conversations aren’t archived, so we recommend either putting substantial items of interest on the forum, or moving them there if they develop into something bigger. Learn more about our Slack. Write the Docs now has a Job Board. This is the place to go if you want to find a documentarian job! We also publicise job posts in our newsletter, which goes out to over 3,000 recipients. So you can also stay in the loop that way! Check out our Blog Posts to see updates from the Community. These will also be sent to the Newsletter & Mailing lists. We’re pretty active on Twitter. You can follow the #writethedocs hashtag to see community tweets. Have any questions, concerns, or comments about our work? 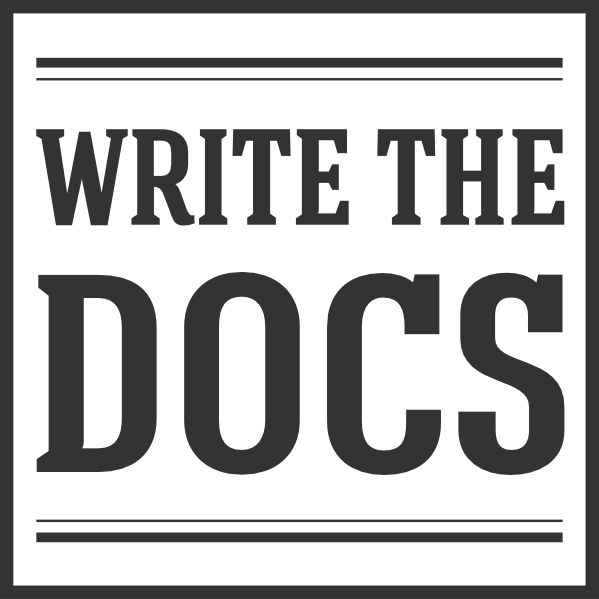 Feel free to reach out at support@writethedocs.org.